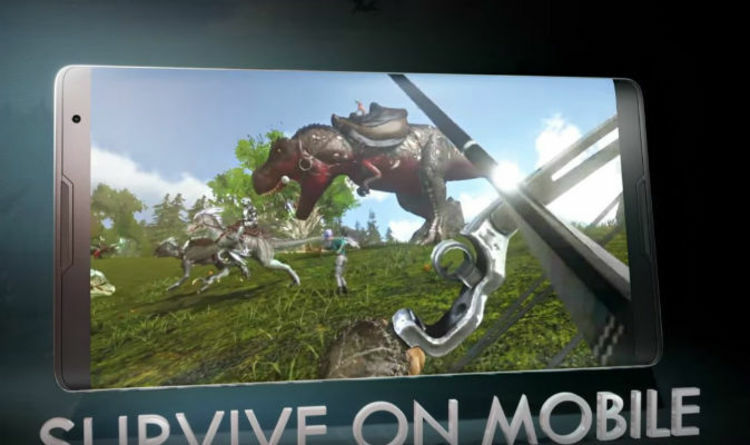 Developers Studio Wildcard announced today that they are bringing ARK Survival Evolved to mobile devices later this year. This will be done through an agreement with veteran mobile developer War Drum Studios (Bully, Grand Theft Auto, Auralux), to bring the entire ARK: Survival Evolved massively multiplayer survival experience to iOS and Android. ARK: Mobile will be free-to-play and also support both single-player and multiplayer gameplay. “This on-the-go version features the full online survival experience contained in the PC and console versions of ARK, including a gigantic island to explore, 80+ dinosaurs and primeval creatures to tame and train, multiplayer tribe mechanics, and of course, crafting and building,” a message from Studio Wildcard explains. From the new mobile trailer it appears that all the normal ARK gameplay found on PS4, Xbox One and PC will be available on mobile. Another interesting thing to note is that the new trailer which can be found in this article, comes with the disclaimer that the footage was recorded live using an iPhone 8. There will probably be a lot less dinosaurs roaming about, while it’s unclear if bluetooth controllers and chat will also be provided. Craft and Build: Using any means necessary - survive, craft weapons, clothes, and items, and build shelters, villages, or even large cities. Plant, Harvest, Build, Level-Up, and Customize everything visually and functionally, including procedurally-generated RPG statistics for creatures, characters, resources, clothing, gear, and weapons, both primitive and modern. Play Alone or Team Up to Survive: Team up with, or prey on, up to 50 other players in a large-scale multiplayer online first-person environment, or choose single player mode to test alone your mettle against the dinos. As confirmed by Studio Wildcard, today War Drum launched a limited Closed Beta on iOS, with a full worldwide launch anticipated later this Spring on the iOS App Store and Google Play Store. Interested ARK survivors can visit www.playark.com/mobile to sign up for news on the game’s development and for a chance to participate in the ARK mobile beta. Unlike Fortnite Mobile, there has been no further news on cross-platform play with PS4, Xbox One and PC. This seems unlikely as well, due to the fact that ARK Mobile will be free-to-play, while all other platforms cost money.